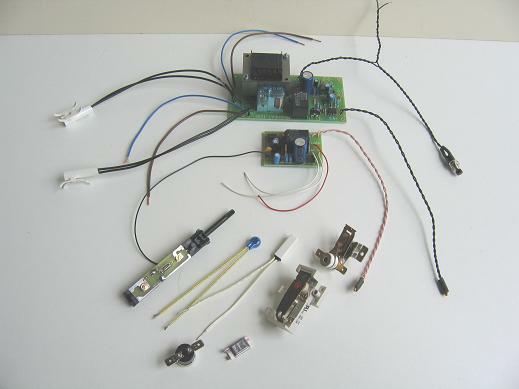 We manufacture and stock a large range of thermostats, both mechanical and electrical. A wide range of power ratings and temperatures are available. Examples of bespoke units we manufacture are a four way electronic unit for the independant control of heated shelves in a dumb waiter lift car, immersion heaters, bi-metallic adjustable thermostats, and a control box for sensing and controlling boiling water in a 25 litre vessel. As designers and manufacturers of our devices, we are able to respond quickly to requests for prototypes, and can often supply a working model to your specification within days. Please contact us with your requirements, for a solution designed specifically for your needs.